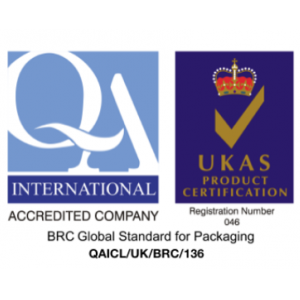 Kingsmoor Packaging holds the BRC Global Standard for Packaging and Packaging Materials certificate at AA Grade - the highest grade that can be awarded. A copy of our current certificate can be found is here. BRC Global Standards is a leading brand and consumer protection organisation, used by over 26,000 certificated suppliers over 130 countries, with certification issued through a global network of accredited certification bodies. BRC Global Standards guarantee the standardisation of quality, safety and operational criteria and ensure that Kingsmoor fulfil our legal obligations and provide protection for the end consumer. 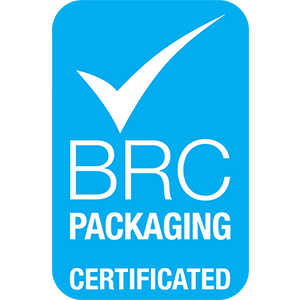 The BRC Global Standard for Packaging and Packaging Materials is now often a fundamental requirement of leading retailers, manufacturers and food service organisations. 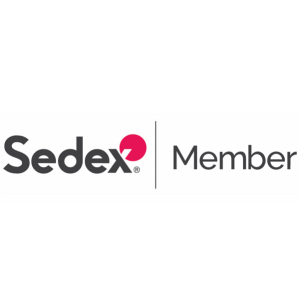 Kingsmoor Packaging is a member of Sedex. Sedex is home to one of the world’s largest collaborative platform for buyers, suppliers and auditors to store, share and report on information quickly and easily. The platform is used by more than 50,000 members in over 150 countries to manage performance around labour rights, health & safety, the environment and business ethics. Sedex is not a standard setting body and doesn’t approve or certify our policies and standards. Instead, being a member of Sedex is a sign of Kingsmoor’s willingness to share information and to use this information to help manage and improve ethical standards within the supply chain. Valpak is the leading provider of environmental compliance, data and resource management services supporting businesses in the UK and internationally. When the Packaging Waste Regulations first came into force in 1997, a group of obligated businesses collaborated to create Valpak, the UK’s first ever packaging compliance scheme, as a means to outsource legal compliance to a third party. 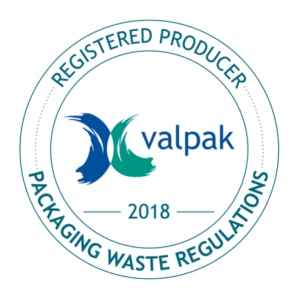 As a member of the Valpak packaging compliance scheme Kingsmoor Packaging meet all our legal responsibilities for packaging compliance and fulfil our recycling and recovery obligations.